Learn the History of How White Water Rafting Began & Got So Popular! Long ago, white water rafting was one of the first forms of transportation. In fact, Native Americans used canoes and rafts to navigate North America’s vast waterways. It allowed the natives and early settlers to carry people, hunt for food and also transport supplies. Today’s modern white water rafting dates to 1842 when Lieutenant John Fremont began to explore the Platte River. Lieutenant Fremont and Horace H. Day invented a modern rubber raft, intending to survey the Great Plains and Rocky Mountains areas. The type of raft he most likely used was similar in design to today’s rafts – featuring four rubber cloth tubes with a wrap-around floor. One of the simplest forms of water transportation, many primitive rafts were once constructed using logs, reeds and planks, which were fastened together to create a floating vessel. As technology developed, the military began using life rafts, which were inflatable vessels, for beach assaults. 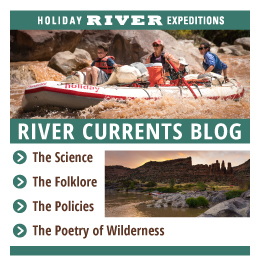 It was not until the 20th century that commercial rafting trips were available. In the 1960s, rafting was officially established. During this time, several whitewater rafting companies began offering Grand Canyon rafting tours deep into the heart of this geologic wonder. In the 1970s, rafting was included as a sport in the Munich Olympic Games, making an appearance in the 1992 Barcelona Olympics and 1996 Atlanta games. 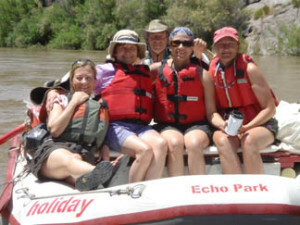 Private rafting companies have played a significant role in building the rafting industry over the past several decades. In fact, John D. Rockefeller even built a resort in the Grand Teton National Park that featured one of the first floating trips. The Grand Teton Lodge Company used a surplus war bridge that was 27 feet long by eight feet wide. It featured sweeps made from galvanized pipe and wood blades were mounted on piano casters. The trip attracted less than 500 visitors; however, floating river excursions began to gain popularity. Further, into the 1960s and 1970s, companies that focused solely on white water rafting began gaining in popularity, especially in the western states. By the time the 1980s rolled around, several major rivers worldwide were being explored by independent rafting companies, which included Scotland, Africa and South America. The International Federation of Rafting was established in 1997 and by 1999, they were holding their first competitive championship. As white water rafting continues to gain a following, rafting companies such as Holiday River, are continuing to make an impact by providing adrenaline-packed adventures.